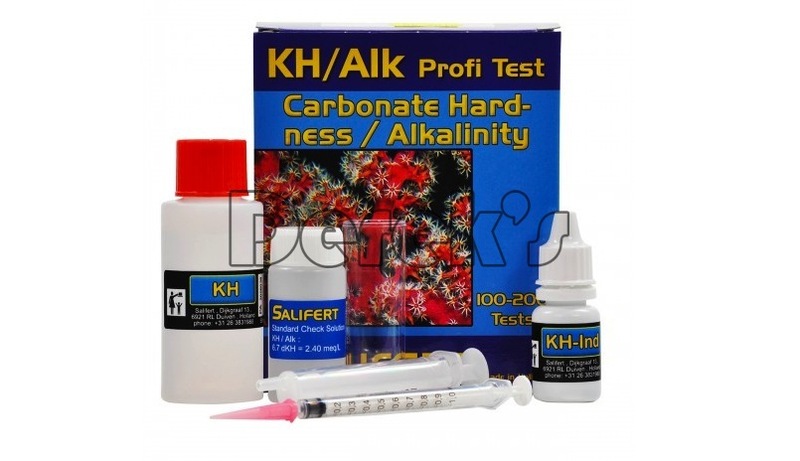 Easily test the kH/Alkalinity level in your tank. Trusted by discerning reefers for years, Salifert Test Kits feature some of the easiest to read results available to each testing method. The Salifert kH/Alkalinity Test Kit contains 100-200 (typically closer to 100) tests.